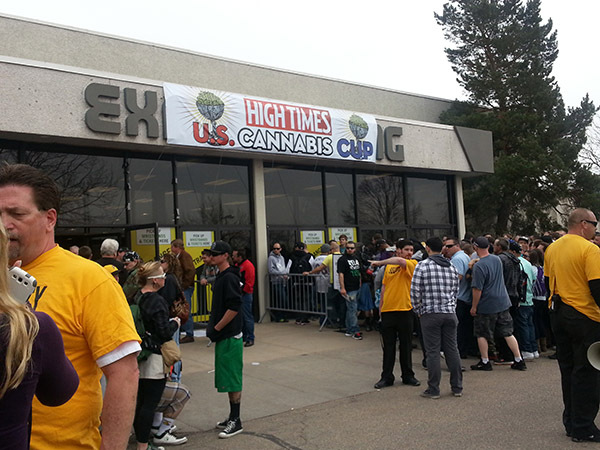 An estimated 80,000 people decended on the Denver Mart (451 E 58th Ave, Denver, CO 80216 – wholesale market center and the site for international, national and regional trade shows, consumer shows and special events) for the fourth annual US High Times Cannabis Cup. This year the celebration was the first to be held after the people’s vote to legalize the recreational use of Marijuana. 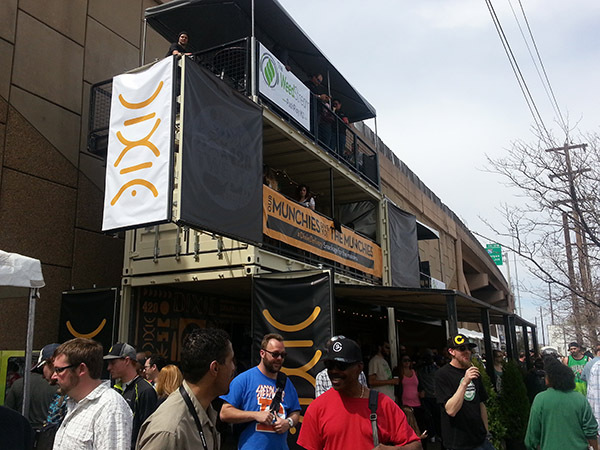 In previous years, the Cannabis Cup Denver was open only to medicinal patients, but this year the expo hall was open to all attendees over 21 who were interested in sampling different strains and products and trying a variety of different wares – from dabs to edibles. People 18 and older with their medical ards were also allowed access to the outdoor expo area, and all persons 18 and older were admitted to the indoor expo hall and seminar events. 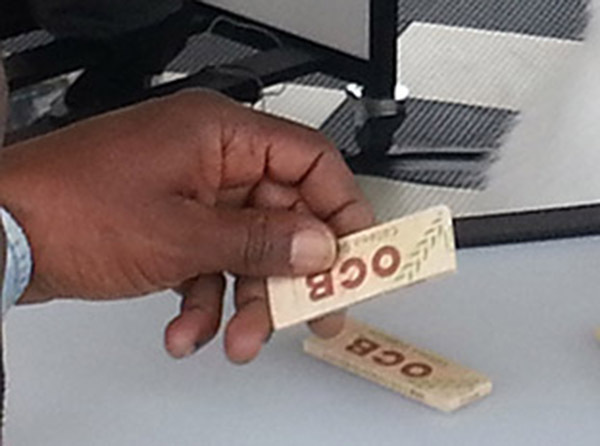 The event is very comparable to any other professional conference, where professionals give presentations and vendors distribute SWAG (stuff we all get) to any interested persons perusing the booths. 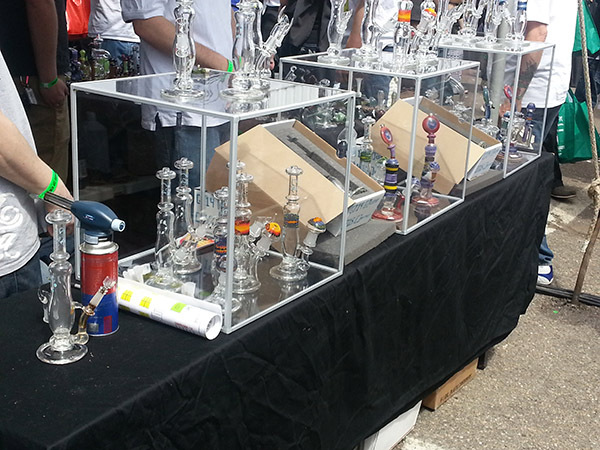 The major difference from regular conferences was that there were beer and sandwiches available for purchase indoors, and many of the vendor booths were giving away joints, vapor pens and dab hits (a form of smoking concentrate) as well as selling dried herb and edibles. The dates or the celebration are of course April 19 and 20, and many people were wishing each other “happy holidays” as 420 is the official time for ingesting Marijuana, so too is 4/20 the official day for celebrating it. 3:30-4 “Nico Escondido: Grow Legally in CO” High Times cultivation editor presents a precise program giving guidelines to beginning growers. 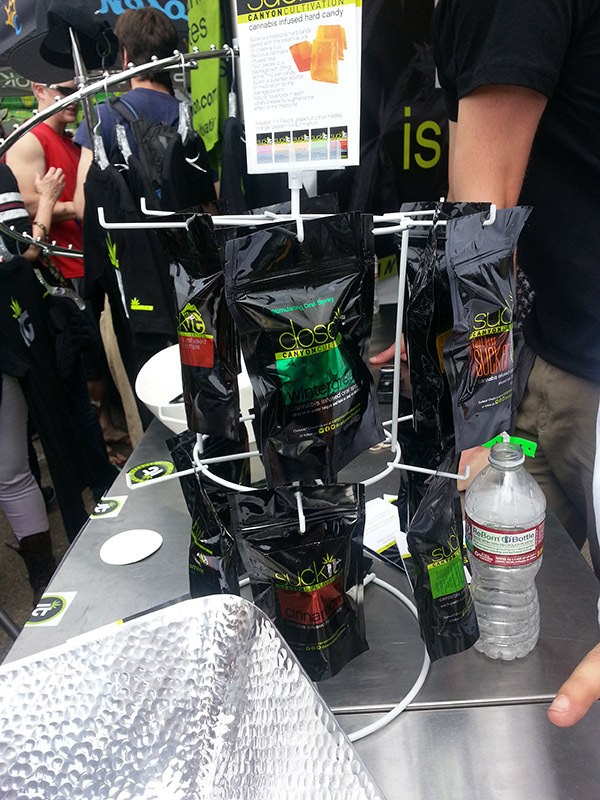 4-5 “The Art of Edibles” How to create potent and consistent cannabis-infused foods from leaders in the industry. 4-5 “Has Colorado’s Over-Taxed and Over-Regulated Marijuana Industry Sold its Soul?” Presentation by CO’s leading criminal defense and civil rights lawyer. 5-6 “A Real Understanding of Extractions using CO2” How its done in food and pharmaceutical industries. 5:30-6:30 “Moving Prana with Yoga and Asana” Breathing exercises and cannabis. 12:30-2 “Debunking the Anti-Marijuana Business Cruisade of Project SAM (Smart Approachs to Marijuana)” Marjuana policy expert leads a discussion and forum. 1-2 “How to Open a Business in the Cannabis Industry” Panel of industry leaders answer questions and present basic information. 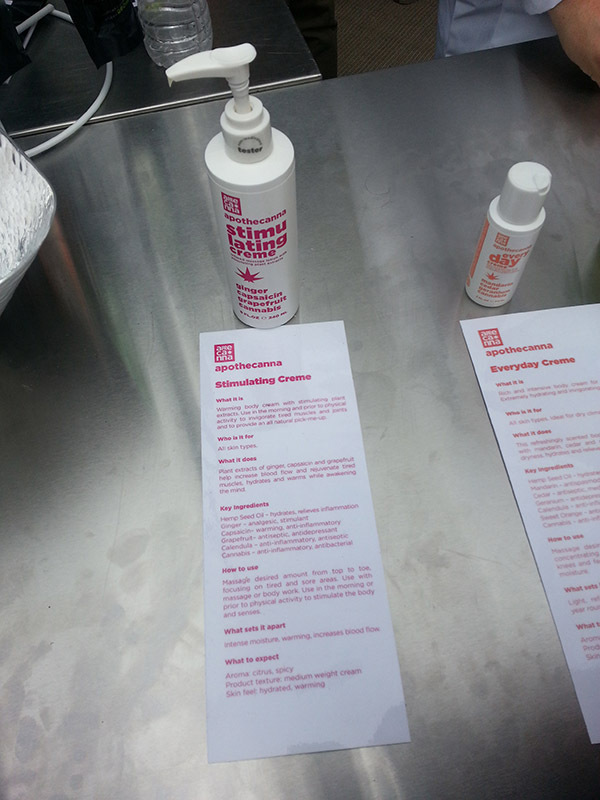 2-2:30 “The Power of Topicals” Learning to use cannnabis-infused body care products for healing that’s more than skin deep. 2:30-4 “Free Weed from Danny Danko” Panel of industry leaders answer questions and present info on genetics and cultivation. 3:30-5 “Marijuana for Trauma” Military veterans discuss the benefits of cannabis. 4-5 “The uture of Legalization” Panel of industry leaders answer questions and provide their opinions. 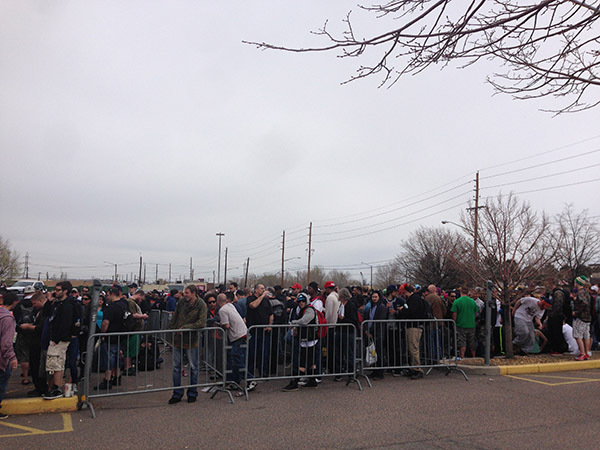 Highway 25 leading up to the exit for the Denver Mart was backed up for over a mile, and the shuttle busses leaving from Cheeba Hut (downtown at 15th and Champa) were nearly impossible to get a seat on. We took a cab from downtown, and saved the $20 in parking. Our cab driver dropped us off on the west side of 25 to avoid the traffic, and we could see cars backed up as we approached the venue. 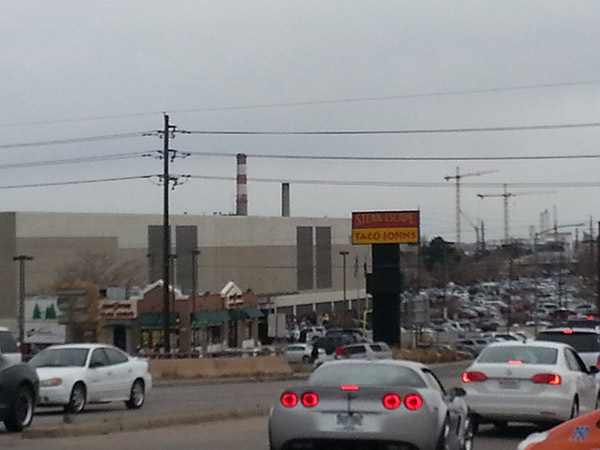 Roads approaching Denver Mart were like virtual parking lots. The schedule stated that doors opened at 11, but some people arrived as early as 4 am to begin lining up outside the doors. The extremely long lines gave security guards a challenge and doors did not open until noon, and once the line started moving it only took an hour to make our way inside. Which is actually pretty amazing considering the size of this line. 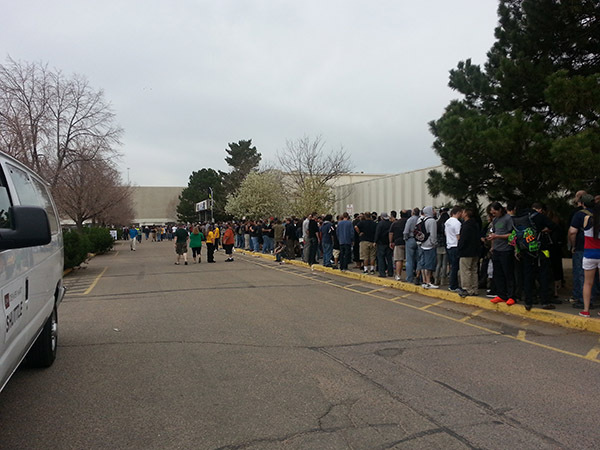 Entry to Denver Mart at 11:30 am. Line leading away from the front door. “People corral” of early arrivals – some camping out since 4 am. Once inside, people showed their id’s to get wrist bands, and the crowd moved to the outdoor venue. 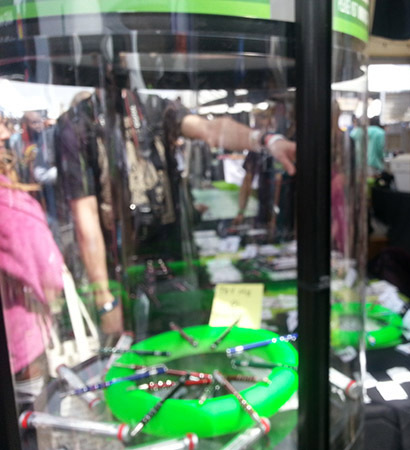 Crowded was an understatement, as people moved around shoulder to shoulder checking out the wares. 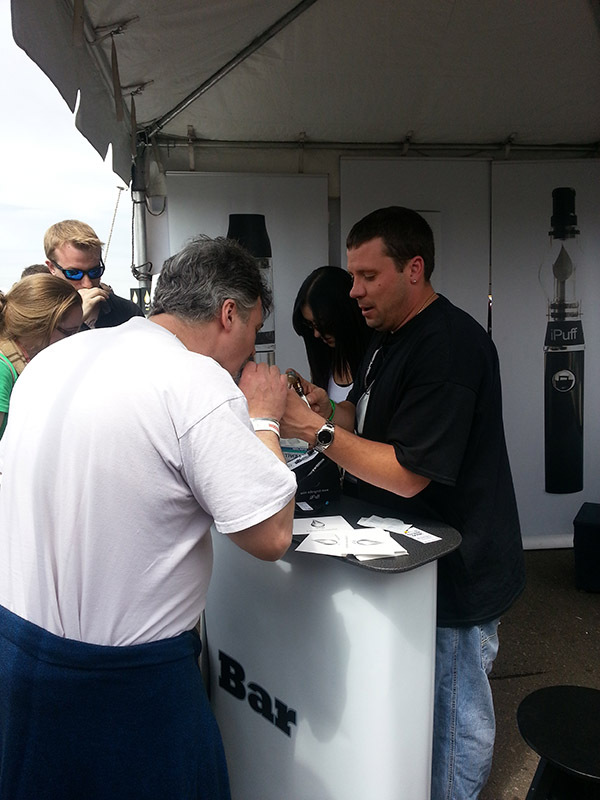 One vendor attending to a member of the crowd. Available products ranged from free items to sale-able goods. 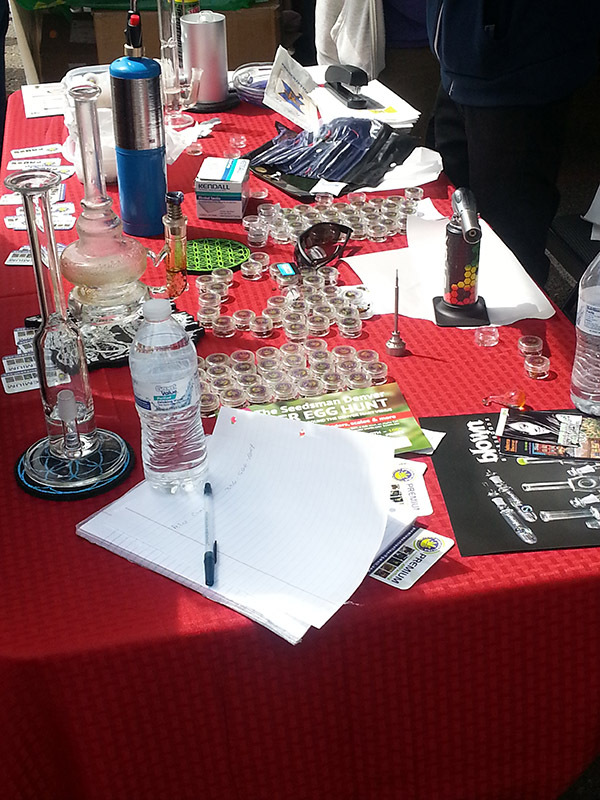 Free stuff ranged from papers and lighters to actual rolled joints. Saturday night concluded with a live show at Red Rocks Amphitheater – the first ever Snoop’s Wellness Retreat featuring Wiz Khalifa – and numerous Denver venues were alight with people continuing their celebration with music of their choice or further partaking in smokable enjoyment legally at private residences. 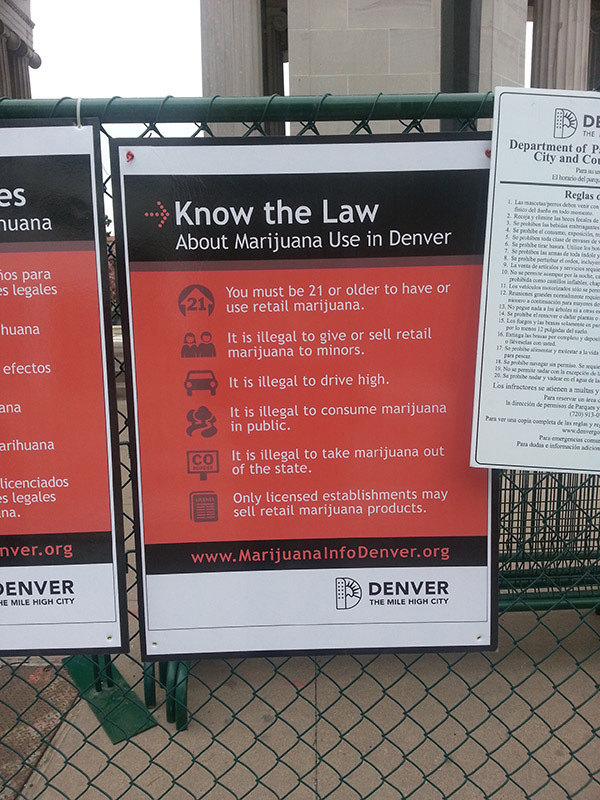 Denver’s Civic Center Park also held a 420 Rally that was a free event – all day Saturday and Sunday – where law abiding citizens could go to show their support for the movement. 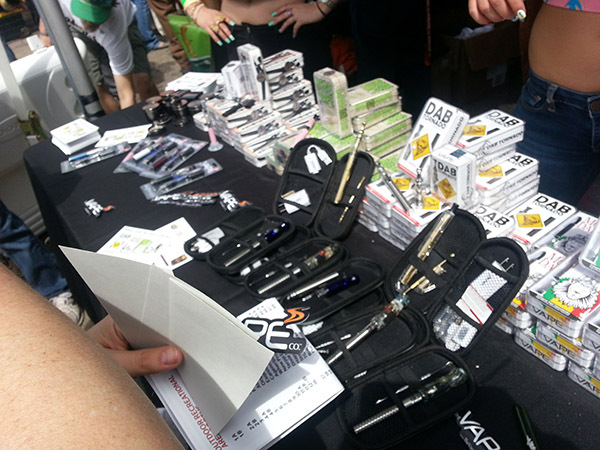 Although some chose to be non-law abiding, as 47 citations were issued over the weekend, these were to people smoking on the outskirts and not “getting lost in the crowd.” Overall it was all in all a peaceful demonstration.